My makeup brushes are one of my most cherished possessions because each and every one of them is carefully selected. I am very particular about them, therefore, caring for them, even when traveling, is extremely important for me. The NEW Practk is ideal for all my "on the go" brush cleaning needs. 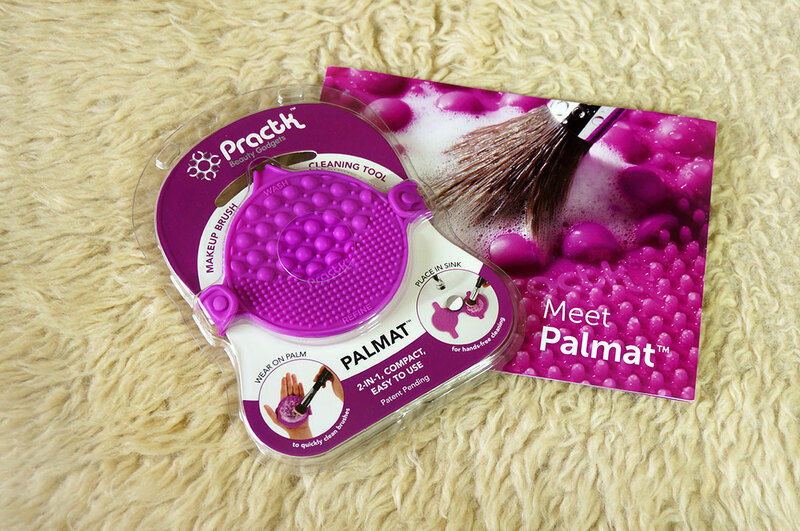 *Practk, a very new company, sent me this cute little palmat to test for brush cleaning. Practk is actually a sister concern of Sigma Beauty. 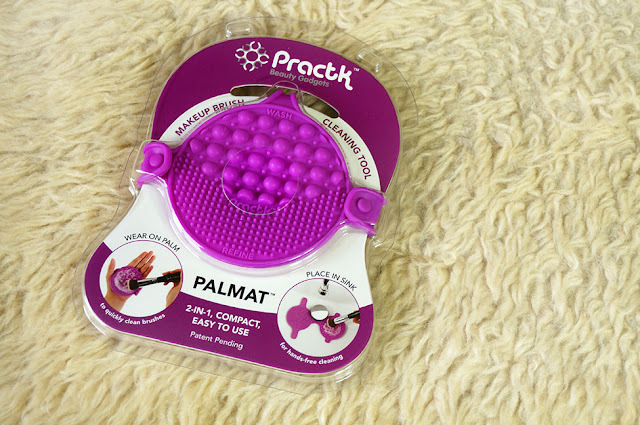 "Practk™ offers beauty tools you can count on that won't break the bank! 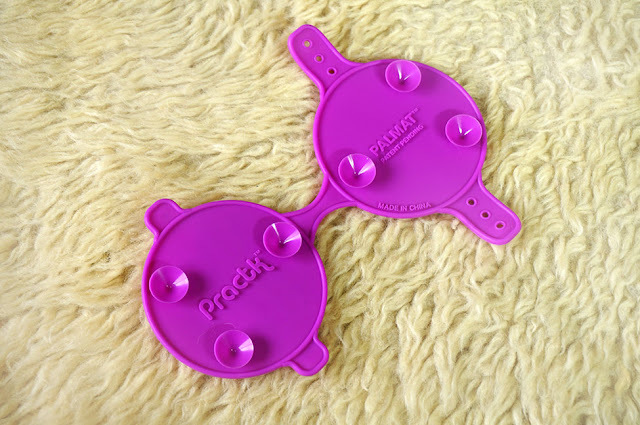 Created by the innovative founders of Sigma Beauty®, Simone Xavier and Rene Xavier Filho, Practk™ provides affordable, high quality tools for the everyday beauty lover. Their science and engineering backgrounds are the backbone to Practk™'s fun and easy-to-use tools." The Practk Palmat is an extremely practical tool. 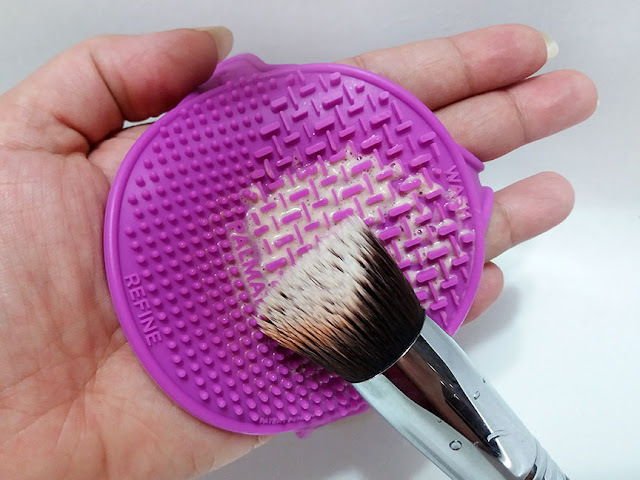 Similar function to the Sigma brush cleaner that I reviewed earlier but with more flexibility and portability as well. 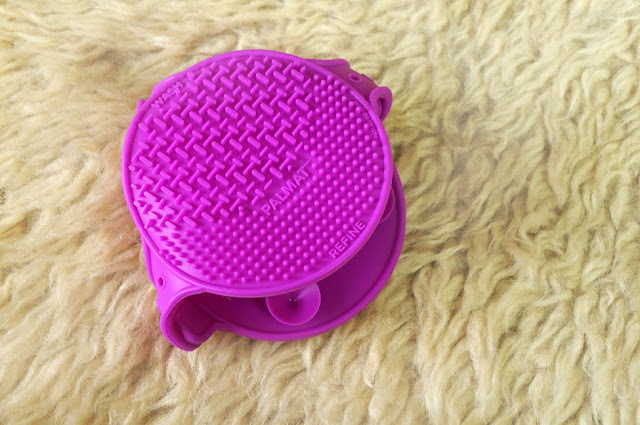 I find this ideal for travelling because it is a small size and fits into any makeup pouch. TIP: Wash your brushes with baby shampoo, anti-bacterial hand wash or use a brush cleaners. Remember you use these on your face so you don't need any reaction. Practk is available online for only $9.95 and they ship worldwide. The product seems great for the price. Not expensive like Sigma either and that's a huge plus. It is such a useful little thing I swear! Wow! That is one fancy brush cleaner! I have the one by Real Techniques which I love. Great review!